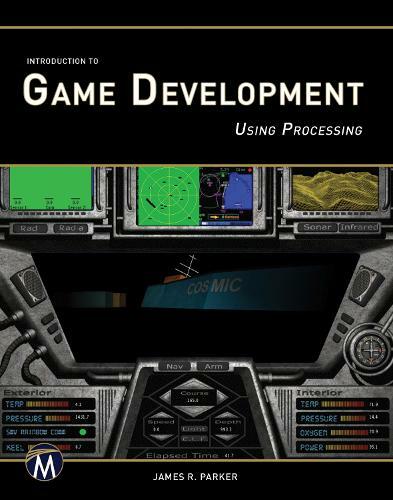 This book will guide you through the basic game development process, covering game development topics including graphics, sound, artificial intelligence, animation, game engines, Web-based games, etc. Real games will be created, and significant parts of a game engine will be built and made available for download. The companion DVD will contain example code, games, and color figures. Processing is a free, graphics-oriented language that provides the basic functionality needed for building games and runs on all major platforms. Moreover, it allows games to be built for desktop computers, HTML 5, and Android. It teaches basic game development including graphics, sound, artificial intelligence, animation, game engines, Web-based games, and more. You can create a small collection of complete computer games developed throughout the book. It uses Processing, a free, downloadable platform with a frame by frame display scheme that is perfect for computer games.